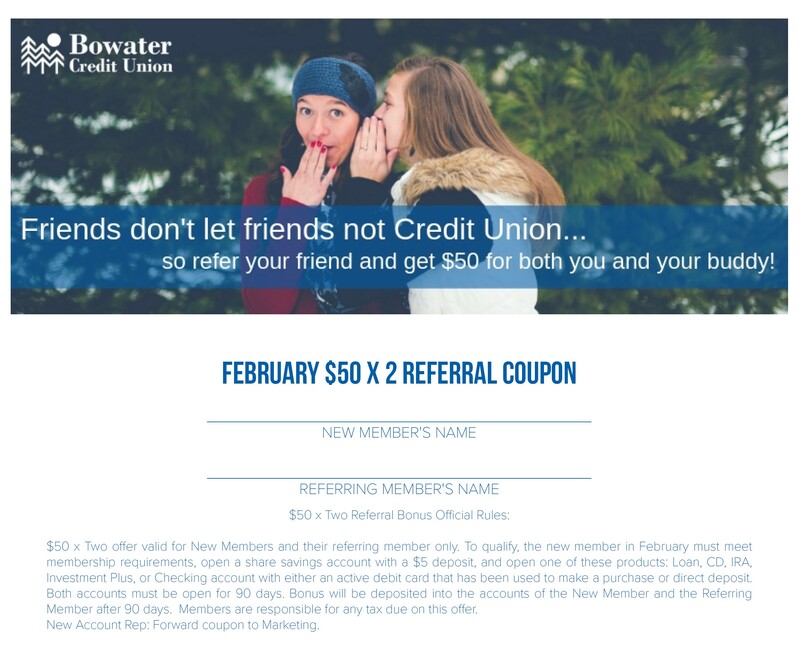 If you love Bowater Credit Union, it’s time to tell your friends and neighbors they can join and you’ll both get rewarded! 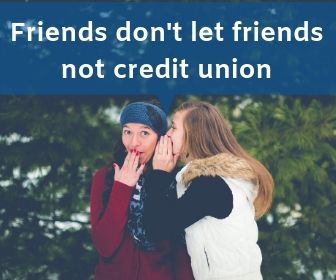 Refer someone to Bowater Credit Union in February, and as long as they join and open at least two qualifying accounts, and keep them open for 90 days, you’ll BOTH get $50! And the credit union you own will grow stronger. It’s a win-win-win. $50 x Two offer valid for New Members and their referring member only. To qualify, the new member in February 2019 must meet membership requirements, open a share savings account with a $5 deposit, and open one of these products: Loan, CD, IRA, Investment Plus, or Checking account with either an active debit card that has been used to make a purchase or direct deposit. Both accounts must be open for 90 days. Bonus will be deposited into the accounts of the New Member and the Referring Member after 90 days. Members are responsible for any tax due on this offer. Coupons available in branch, OR click here for a printable!